A maverick business journalist investigates how global economic power is increasingly controlled by foreign countries and private investors in ways that the U.S. government can't control and that the average American knows nothing about. Eric J. Weiner's critically acclaimed first book, What Goes Up: The Uncensored History of Modern Wall Street as Told by the Bankers, Brokers, CEOs, and Scoundrels Who Made It Happen, was selected as one of the year's best books by Barron's magazine and one of the year's Most Enriching Reads by Kiplinger's. Weiner has demonstrated a deep knowledge of Wall Street and how the international financial world operates. Now, in The Shadow Market, he reveals that an enormous reshuffling of global fiscal power is taking place—-and that Americans are powerless to stop it. Most of us are unaware of the multitrillion-dollar network of super-rich, secretive, and largely unregulated investment vehicles—-foreign sovereign wealth funds, private equity funds, and hedge funds—-that are quietly buying up the world, piece by piece. The Shadow Market tells the definitive story behind this side of high finance, the side most people rarely get to see. It doesn't have a physical headquarters, like Wall Street or the New York Stock Exchange, or an index to track. But it's there, pulling the levers behind the curtain. Weiner investigates the evolution of the international market that now dominates the global financial world—-where money mixes with geopolitical power, sometimes invisibly, and other times quite publicly. 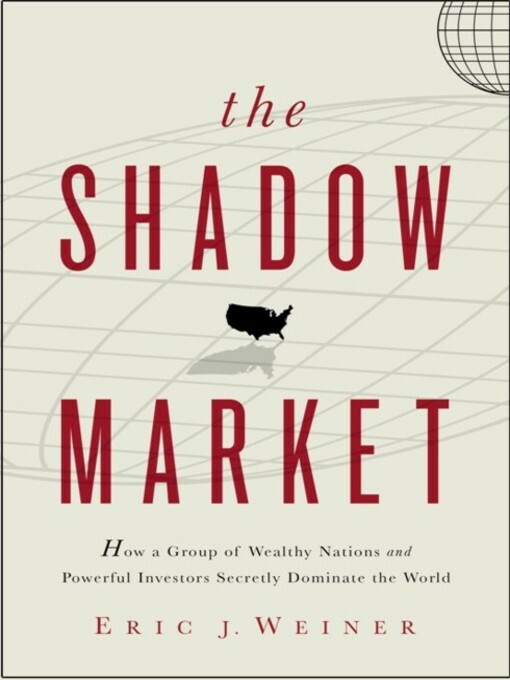 Highly informative and sometimes startling, The Shadow Market is an urgent warning to the worldwide community and a must-listen for anyone interested in the future of the global economy, America's position in the world, or how and where to invest money.